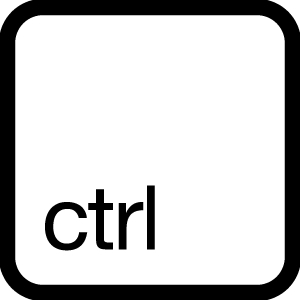 get-ctrl is in my opinion, the hottest, free tool for unsigned bands at the moment. A one stop shop where an artist can build a professional-looking, official website using a simple content editor complete with media players, galleries, news feeds and a gig calender. A bit like MySpace you’re probably thinking but get-ctrl have really gone the extra mile with this service without feeling the need to ruin your bands all important public image by cluttering your page with cumbersome adverts. This music platform is also offering you the ability to simply make both iPhone and Facebook apps as well as maintain a digital and soon to be physical store (12% commissions) along with mailing lists. Oh and not to forget the real-time statistics get-ctrl is supplying on their services, possibly the most entertaining and dangerously addictive invention of recent times. Also, get-ctrl make it possible and actively encourage you to attach a private domain name to your site with a simple tool in the settings section giving your band’s web presence that added edge. get-ctrl has been produced by a wide array of people who’ve been making band websites for 10 years; they know exactly what you want in a service like this. And don’t forget, all of this is free, get-ctrl’s business model is based around a relatively low 12% commission on the online stores they provide to you so they only make money when you do. Still not convinced? 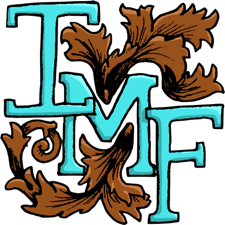 Check out the new official website of the IMF regulars Reachback. And have a listen to their new single ‘No One Else’ while your at it. Reachback, the south-east’s finest, up-and-coming pop punk band have released their first single; a four track affair that borders on being an EP. Titled ‘Butterflies’, a song of unrequited love, the single contains two B-sides as well as an acoustic version of the title track as featured below. It’s a rare cross genre appeal in which the band can travel between rock and pop without becoming absolute tools. They’re not too caught up in the scene to be afraid to perform a Lady Gaga medley with a metal inspired middle 8 breakdown. Reachback have a strong stage presence, a rare thing to find at this level so if you want to witness them for yourselves, their next London gig is at the Vibe Live bar on Brick Lane. Butterflies can be downloaded from iTunes (link opens iTunes), Amazon and last.fm or you can pick it up as a physical CD from HMV. This will probably only affect those from London/Essex. 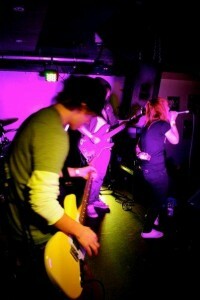 I featured Reachback in this blog a while ago and now, they have a chance to win a record deal. They’ve just made it through to the semi-final of a Battle of the Bands. “I know this is kind of late notice but Reachback has made it through the heats and quarter-finals of the Dagenham battle of the bands sponsered by ROCKSTAR ENERGY DRINKS! Tomorrow (wed 30th) is the semi-final and we really need your support and vote as we really want to win the record deal for first prize! It would mean soo much to us if you could come, every vote counts! There is no postcode but for TOMTOM users just put in Cooks Road, Dagenham and it will get you there! !